Spring comes to Hida a month later than Tokyo. Flowers of all kinds—cherry blossoms, peach flowers, Japanese plums, tulips, and daffodils—begin to bloom in mid-April. 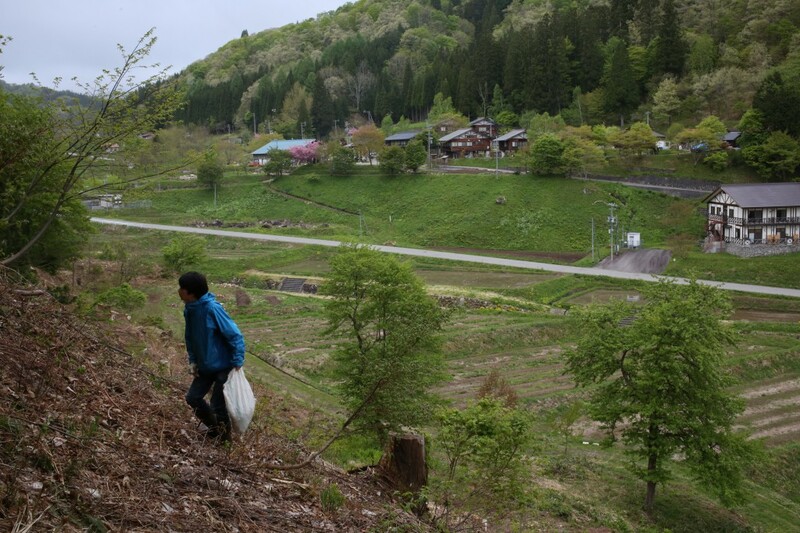 It is also when people in Hida start serving various dishes of mountain vegetables, or ‘sansai’: Fukinoto, udo, asatsuki in April; and kogomi (called kugumi in Hida), young buds of tara tree, zenmai, and warabi in May. 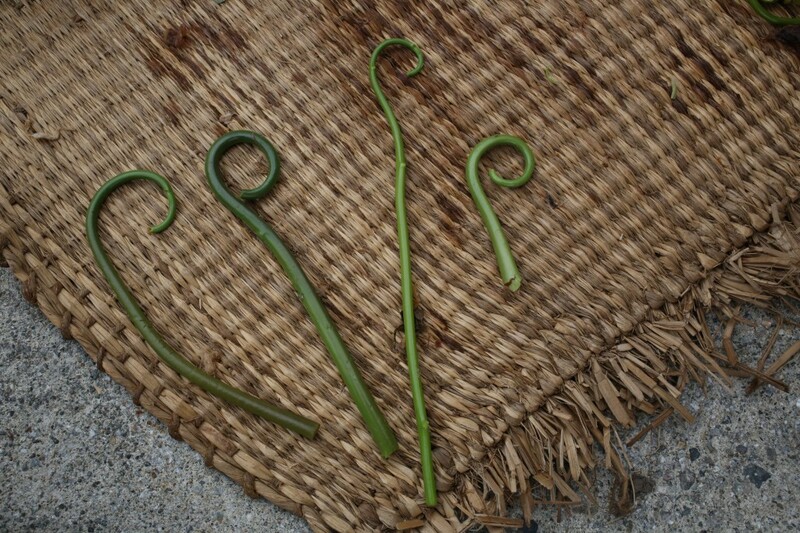 These “sansai” are wild edible plants which can be found in the mountains and in the forests, and not cultivated by human hands. Many locals go picking these vegetables as soon as they are available, usually from the middle of April. Winter is long in Hida. When spring comes, people here enjoy fresh sansai. They also preserve the harvested sansai for the long severe winter when it is hard to obtain food. Kanboshi daikon (Japanese white radish dried in a cold dry breeze) and dried zenmai are major preservative food items produced in Hida. Today I will introduce zenmai. For more details of kanboshi daikon, visit our March 2014 page. From mid to late May is the season for zenmai. Zenmai grow wild on a shady, north-facing slope of moderately thinned forest. Different plants grow at different altitudes suited for them. The secret of finding wild zenmai and other vegetables like bamboo shoots is to look around ferns. 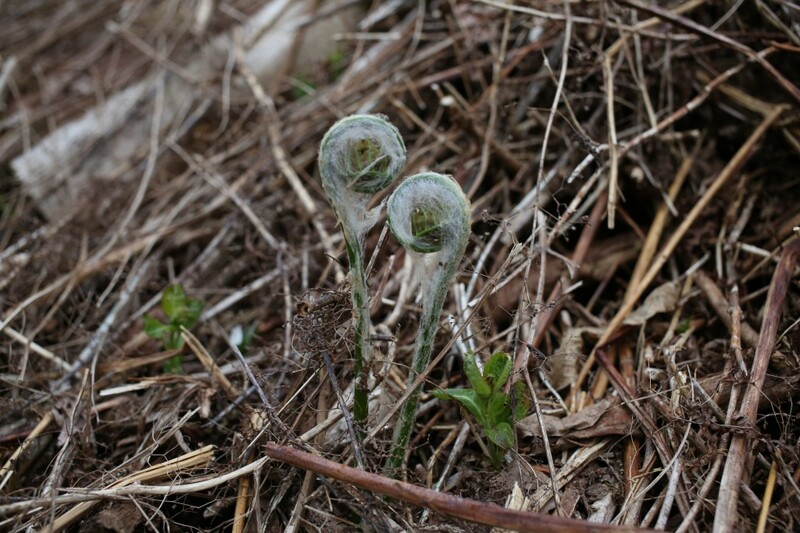 A young frond of zenmai curls up like a coin. Its old name “zeni maki (coin-roll)” changed into zenmai over time, as it is said. Looking carefully around your feet in a forest, you will soon find zenmai fronds sticking out of dead leaves and branches. Those with fluffy fiber, and ones that have just started opening up are good to eat. Pick them at about 15 centimeters (5 inches) in length. Those with leaves completely open are past their season. According to a local museum curator in Hida, people used to use the fiber of zenmai to weave cloth. People used things gathered from nature carefully. To your surprise (or not), there are male zenmai and female zenmai. Unlike female zenmai, the stem of male zenmai is too hard to eat. You can tell apart the two by their leaves: while female zenmai has smooth leaves, male zenmai leaves have coarse surface. 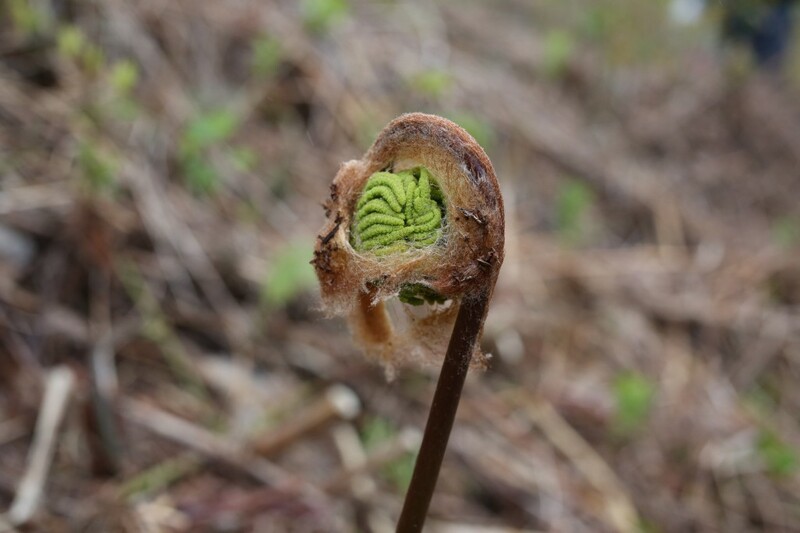 If a frond is still covered with fuzz, you can distinguish by touching it. 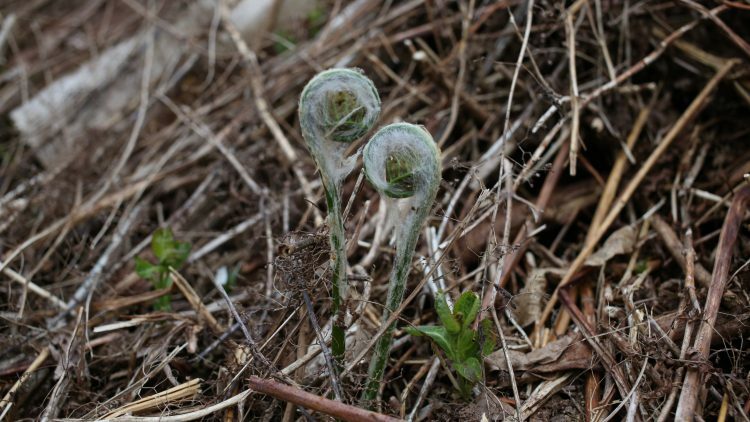 A female frond is flat and a male frond is swollen. 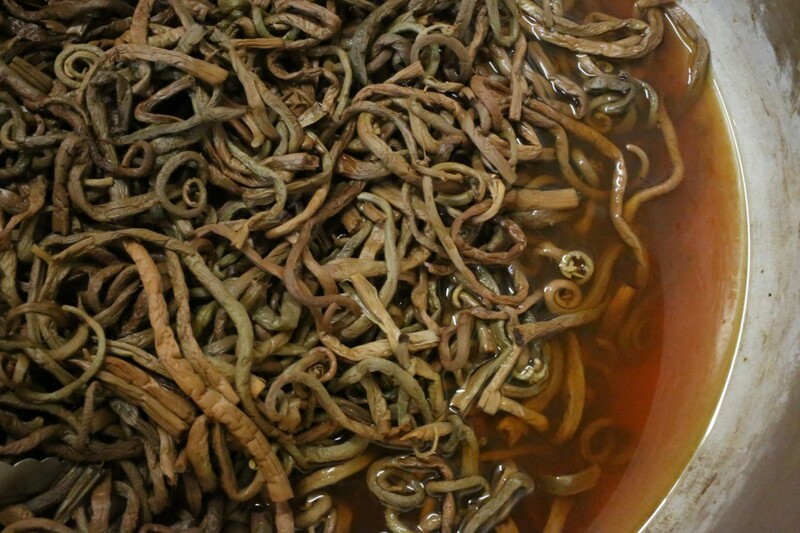 You then boil the picked zenmai and begin the drying process on the same day for preservation. Two important steps are drying the boiled zenmai in the sun and nice breeze, and carefully rolling them by hand. Boil them in a big pot until thick stems are softened. Then quickly remove the fuzz and leaves. The remaining stems look just like a magic wand! The color changes from green to reddish brown as they dry in the sun. To preserve zenmai permanently, you need to hand roll them once every hour for at least five times while drying, and then completely dry the wrinkled zenmai in a cool place. 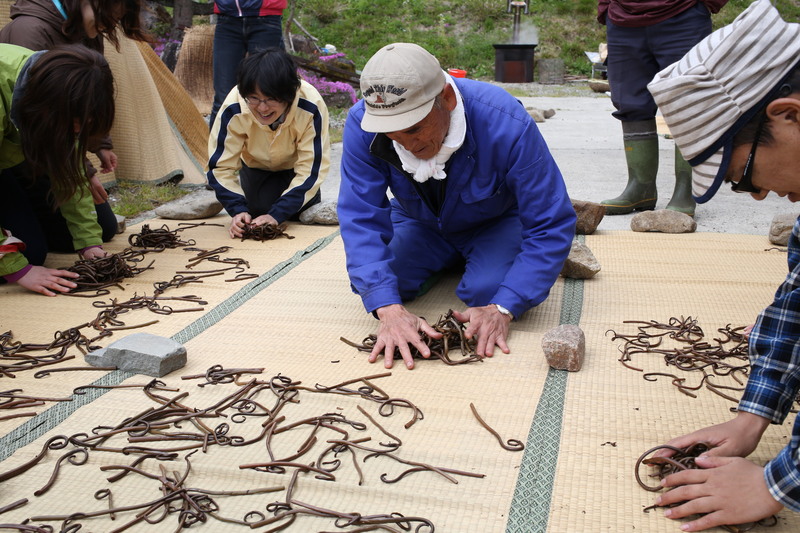 Drying and rolling must be done properly to preserve zenmai for a long winter; otherwise, they will be ruined and “go back to the mountains”, as the villagers say. Reconstitute dry zenmai in warm water, and then immerse in cold water overnight. Stir-fry the moist zenmai with carrots, sliced konjac and deep fried tofu, for a year-around treat. Back then there were neither vehicles nor convenience stores. 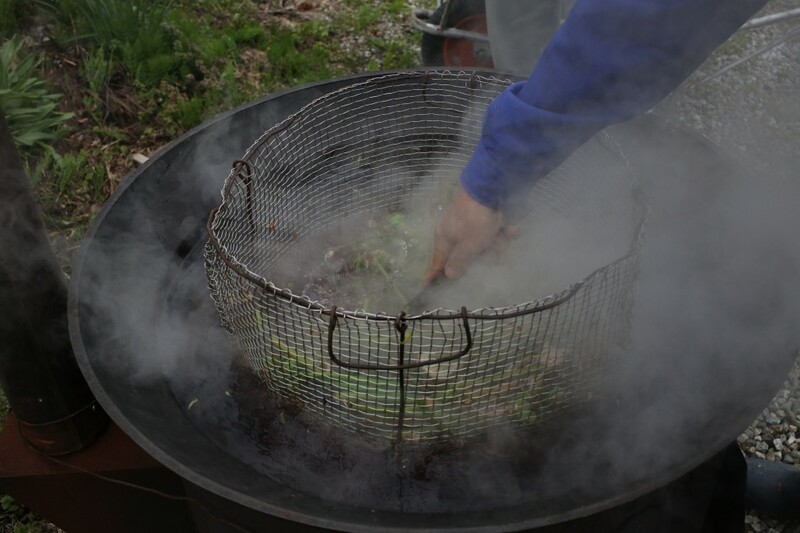 People in Hida had to develop ways to preserve foods harvested from spring to fall in order to get through severe winter. Nutrients in food increase when dried in the sun. Zenmai is co-creation of human and the nature—they are the gifts from a mountain, added to by the warm sunlight and people’s time and care.